Health insurers appear to be increasingly bullish on the fledgling state and federal exchanges, in spite of disastrous rollouts in many of the online marketplaces last fall. Mounting evidence suggests more health plans are poised to compete for exchange business during the 2015 open-enrollment period. In most states, insurers don't have to submit products until May or June, and in most cases, they have until September to withdraw coverage offerings. Insurers are currently scrutinizing the emerging enrollment data for 2014 to determine market opportunities and offer competitive products. The next open-enrollment period is scheduled to begin Nov. 15. UnitedHealth Group executives indicated on a Thursday call discussing their first-quarter financial results, that the company expects to be more active in the exchanges in 2015. The Minnetonka-Minn.-based insurer took a more cautious approach to the exchanges this year than some of its competitors, particularly WellPoint. In addition, Wellmark Blue Cross and Blue Shield plans to compete in insurance exchanges in South Dakota and Iowa in 2015, after sitting out the initial enrollment period. The company cited risk-adjustment protections included in the federal healthcare law as one of the reasons for its willingness to take a chance on the emerging markets. Some start-up, not-for-profit insurers have plans to expand into neighboring states in 2015. The marketplaces in West Virginia, Idaho and New Hampshire will all have new not-for-profit competitors seeded with grants or loans under the reform law's Consumer-Operated and Oriented Plan program. Several other states have indicated that they expect more competing plans in 2015, but aren't yet naming firms. Among those: Washington, Rhode Island, Kentucky, Michigan and California. “We have seen interest from at least two companies that would like to come into the marketplace and are working very diligently to be prepared to do that,” Bill Nold, deputy executive director of the Office of the Kentucky Health Benefit Exchange, said on a call with reporters last week organized by Families USA, a consumer-advocacy group that has championed the healthcare law. Officials in other states said that it's still too early to know whether there will be more competition in 2015. David Gonzales, executive director of the Texas Association of Health Plans, said that 12 companies sold products in the state in 2014, with an average of three to five competitors in each market. But he doesn't know how the next enrollment period will compare. There has been considerable speculation that premiums could increase by double digits next year. But research by David Axene, a fellow of the Society of Actuaries, suggests that increases in the realm of 6% to 8.5% are more likely—which is in line with rate hikes in recent years. More than 200,000 people signed up for private health plans through Covered California between April 1 and 15. That included 50,000 residents who completed their applications and selected a plan on the last day for extended enrollment. That brought total state enrollments in commercial plans to 1.4 million for the 2014 sign-up period. Including Medicaid enrollees, more than 3 million Californians signed up for coverage through the online health insurance marketplace. 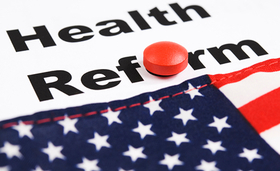 More than 95% of previously uninsured Americans who enrolled in healthcare coverage through the state and federal exchanges were eligible for either Medicaid or federal subsidies, according to a survey conducted by the Urban Institute Health Policy Center. Of the estimated 5.4 million previously uninsured individuals who obtained coverage, 5.2 million had incomes below 400% of the federal poverty level. The survey also found that adults under the age of 30 and minorities were disproportionately represented among those acquiring coverage through the exchanges. While the overall rate of insurance coverage increased by 2.7 percentage points, according to the Urban Institute survey, coverage spiked by 4.3 percentage points among young adults and 4 percentage points for non-white respondents. Researchers cautioned that the findings likely underrepresent coverage increases, because the majority of the survey was conducted by March 8, prior to a spike in sign-ups in the final weeks of the open-enrollment period.